Things had been getting a little grim on the not-so-rocky Rock Farm. The end of summer was approaching, but the rain gauge had been dry for weeks. Even the most hardy plants were starting to look stressed, and neighbours were starting to plan to feed their stock. On the domestic front, things were as busy as ever, with the Little Fisherman starting high school, and the Little Helper settling into year 6. In the midst of all the chaos, I went to sea for a couple of weeks. It was no better when I got home. 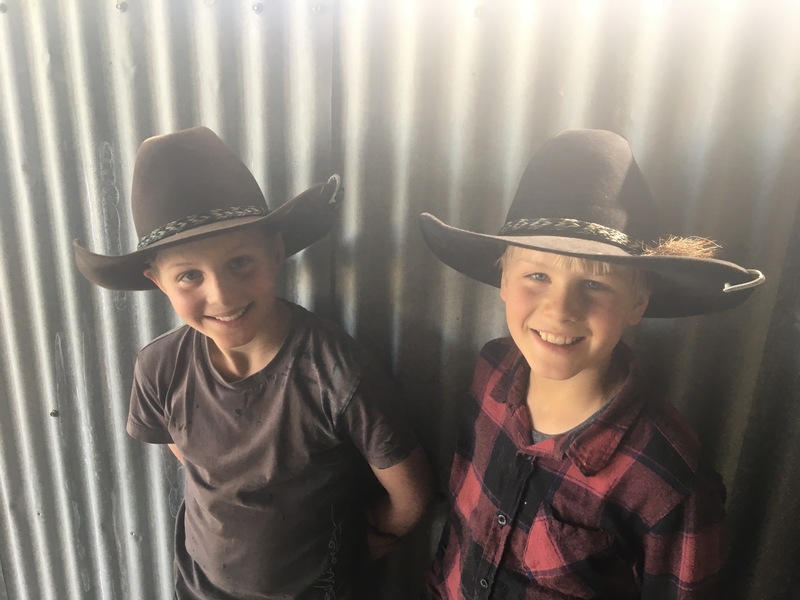 In my absence, both cars had broken down, the boys had been home from school sick and the sheep had disappeared (only to return the next day from their holiday). But then we got a beautiful 50mm of rain and everything changed. My list of jobs I want to do on the Rock Farm is rather long. Everything requires an investment of time or dollars or both and many require the right weather. 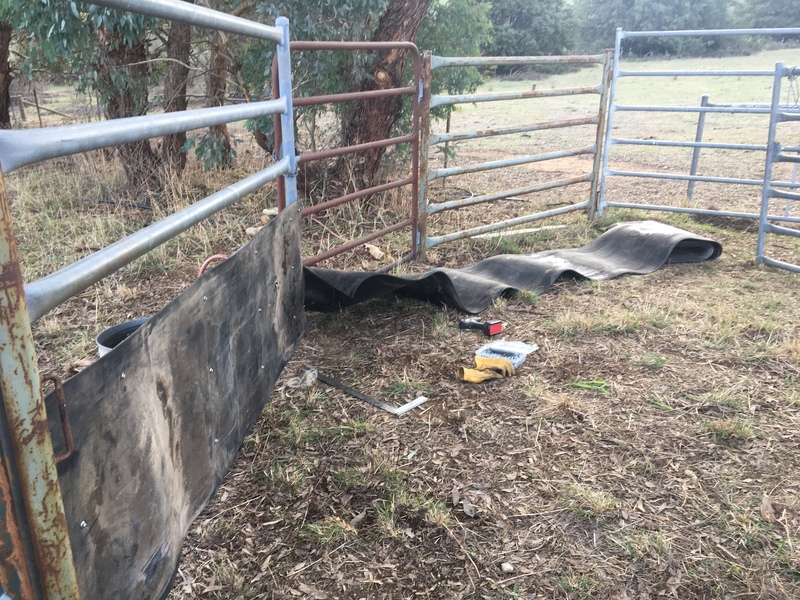 One of the many on the list was to smooth the corrugations out of the driveway – but had been too dry to even contemplate, until it rained. When the rain fell, one of the first things I wanted to do was to run a blade over the driveway. All went well, until I made my way back towards the house… The creek crossing that had been dry little more than an hour earlier was now impassable. Thankfully it was dropping just as quickly as it came up. Soon our depth gauge (a well calibrated star picket) was visible, meaning it was safe to take a 4wd across. That little saga over, I would have liked to continue working through some more of the jobs on my list, but it wasn’t to be. I had another week away starting early the following morning, but this time I had some down time. It was the perfect opportunity to re-read one of the most influential books on farming I have read, and do a bit of planning. 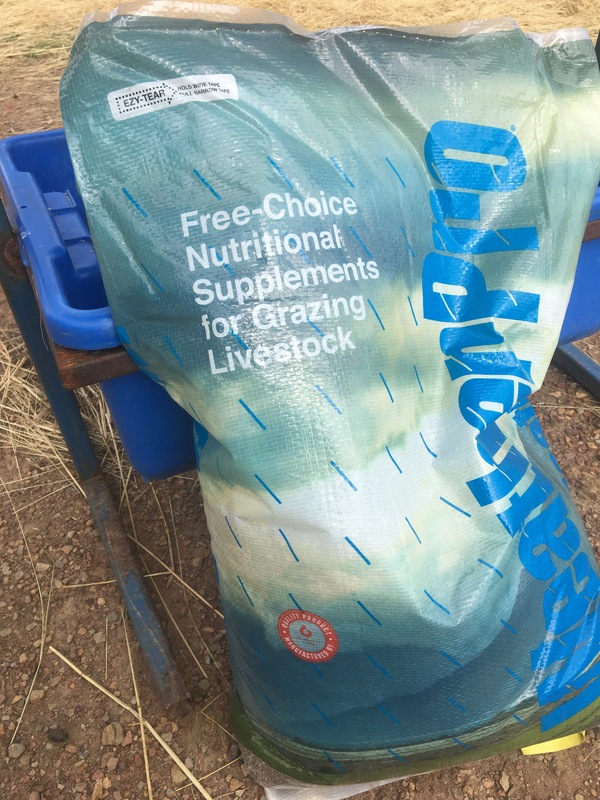 Pat Coleby is one of Australia’s foremost experts on farming without chemicals. Her work is visionary on one level, however when you think about what she has to say, it really is common sense. She shows how the key to healthy plants and animals is healthy soil. Her book is full of practical advice on how to improve the soil, and she guides our approach to our farm. If you’re going to buy one book for your farm, this is a great one! Part of what we need to do is to return organic matter to the soil. Slashing the long grass helps to achieve this. It also causes the grass roots to reduce in size, creating tiny holes which aerate the soil and provide opportunities for earthworms to work through the soil. 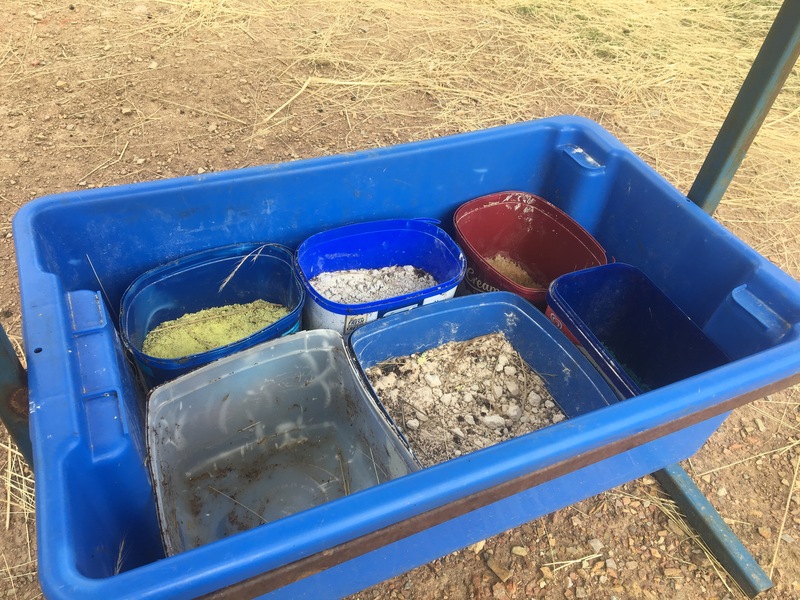 I hope to get some cattle to help with this process – as they return the organic matter to the soil in the form of manure. In the meantime, the old tractor was able to slash this 5 hectare paddock in around 2.5hrs. One thing I will arrange in the next week or so will be soil tests. These will help us to identify shortcomings in our soil health. With the application of the correct amounts of calcium, magnesium and sulphur, we should get our soil back in balance. 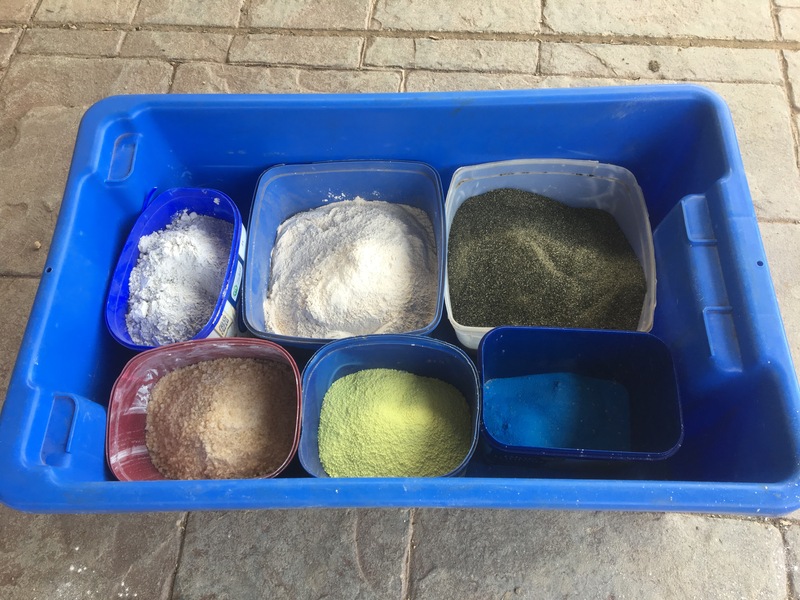 Once the soil is in balance, we should see an improvement availability of trace minerals and an increase in activity in soil by the micro-oraganisms and earthworms that drive soil fertility. 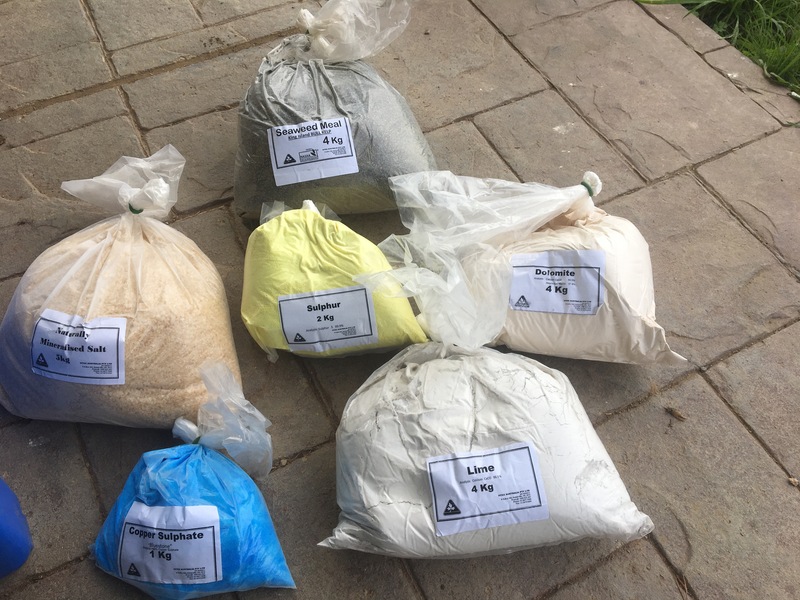 This should lead to a reduction in weeds, and an increase in a variety of species that provide minerals and trace elements to our stock. It is a journey, and I am looking forward to learning about soil chemistry and biology in our quest to improve the health of our land. Spring is a glorious time on the Rock Farm. Blossoms are on the trees, the slow combustion stove is finally allowed to go out and is laid up for summer, and lambs are frolicking in the paddocks. 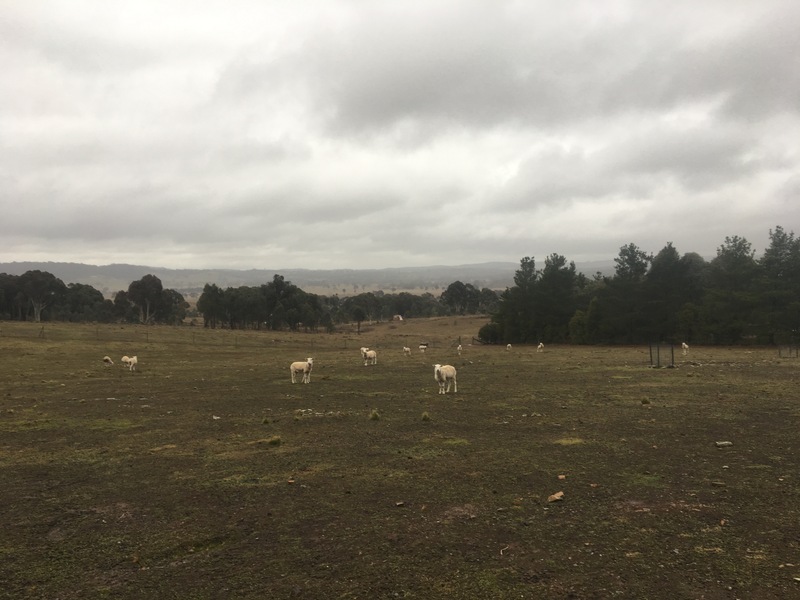 These gorgeous animals require little in the way of health and welfare checks – but even such low maintenance sheep as Wiltipolls require some intervention. And when the city cousins come to stay, it provides the perfect opportunity to bring in the lambs. 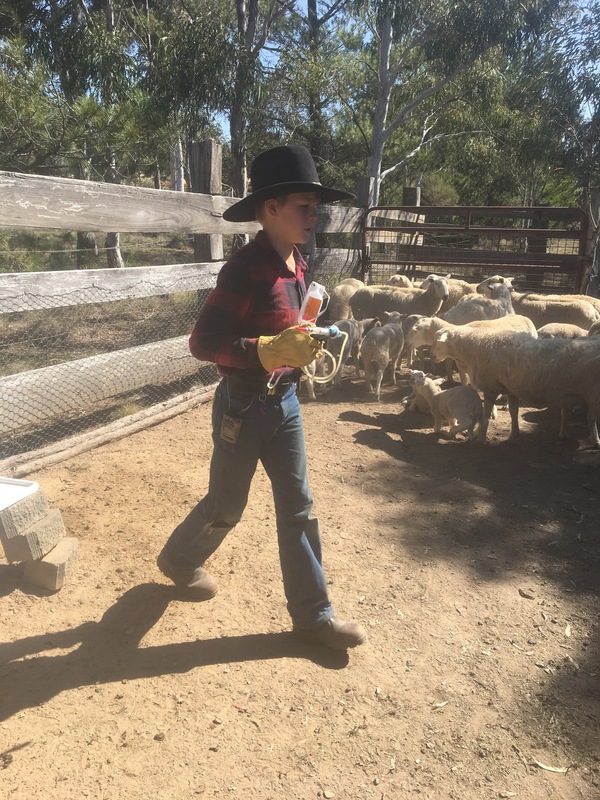 Marking lambs is a necessary part of raising sheep. The lambs receive important vaccinations and are drenched. 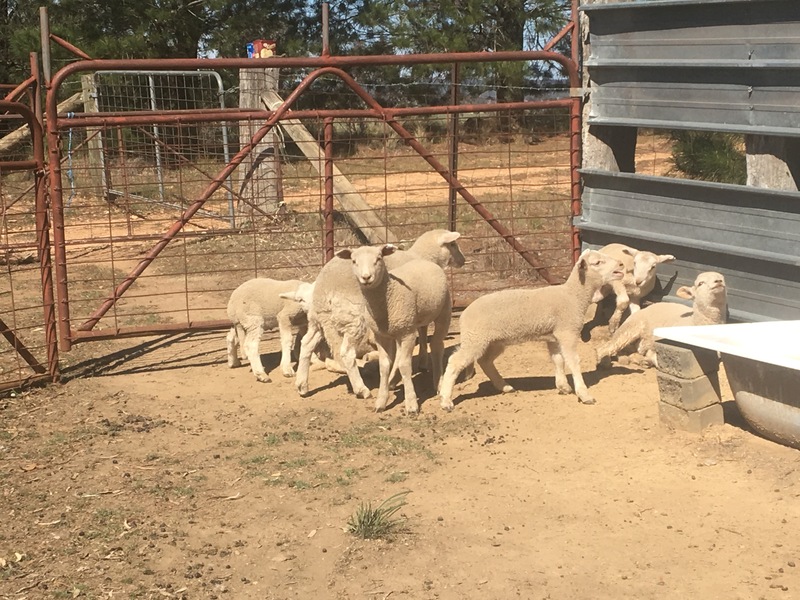 The males are castrated, and all lambs have their tails docked. All the other sheep receive vaccination boosters and are drenched too. We use rubber bands to castrate the males and dock the tails. 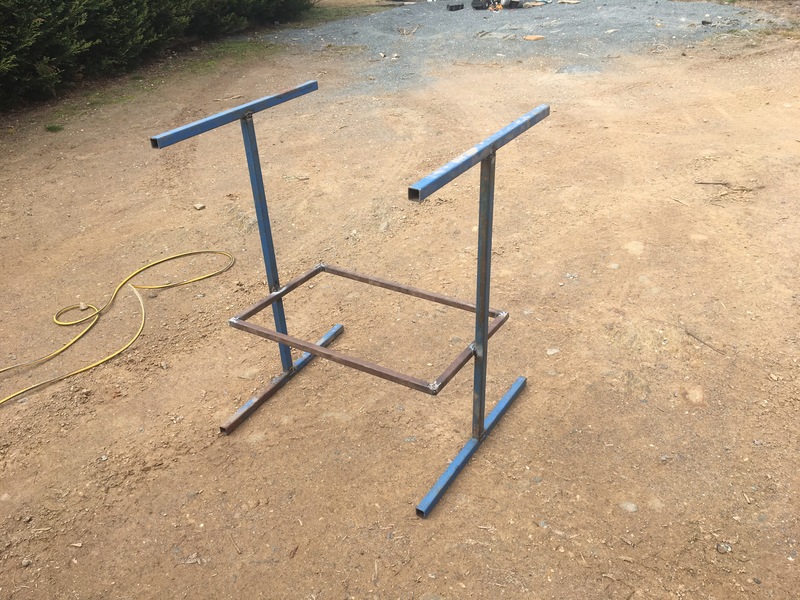 This is the most humane and cost effective option available to hobby farmers. 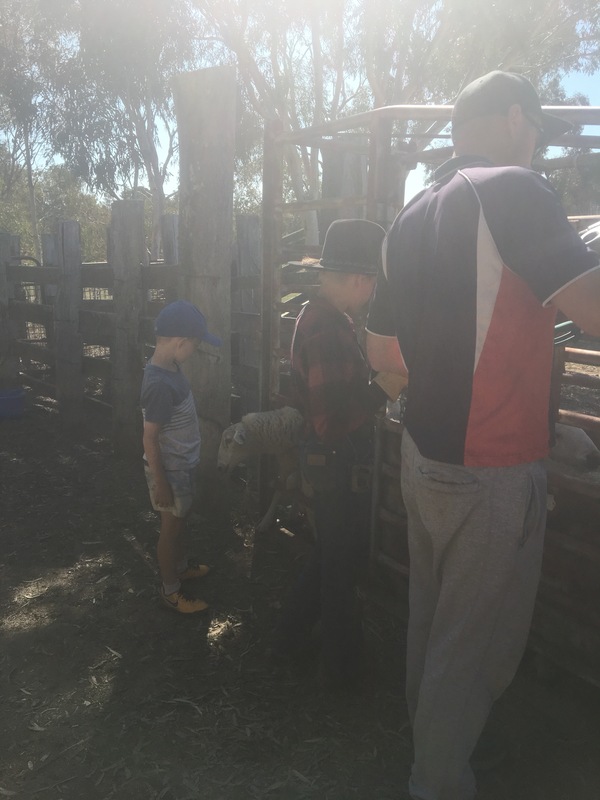 The vaccine we chose prevents clostridial diseases in cattle and sheep such as Tetanus. These diseases are frequently fatal. They are caused by anaerobic bacteria and are widespread in the environment – especially in the soil. Protection is provided when all the herd is vaccinated. 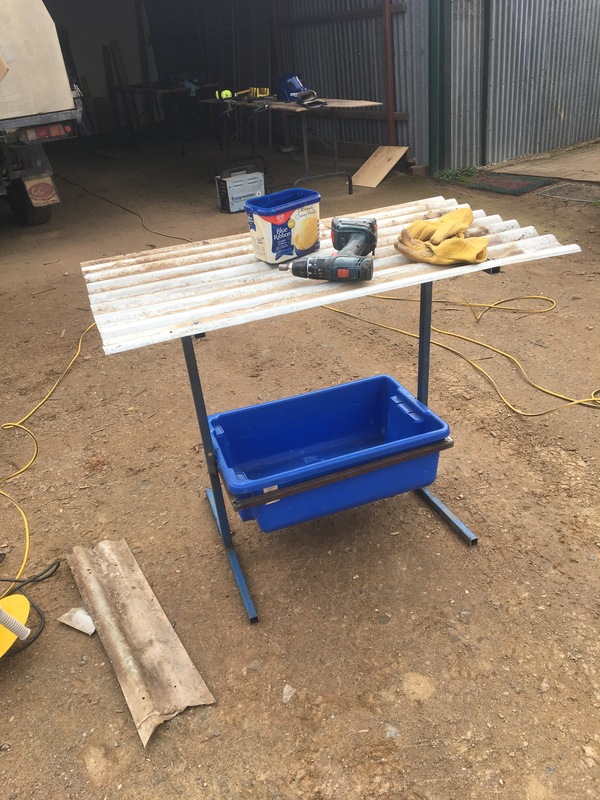 We also drenched the sheep with a triple combination drench. The product we chose provides protection against gastro-intestinal roundworms, lungworm, Nasal Bot and Itch Mite. It also provides important trace minerals such as selenium and cobalt, often deficient in Australian spoil. 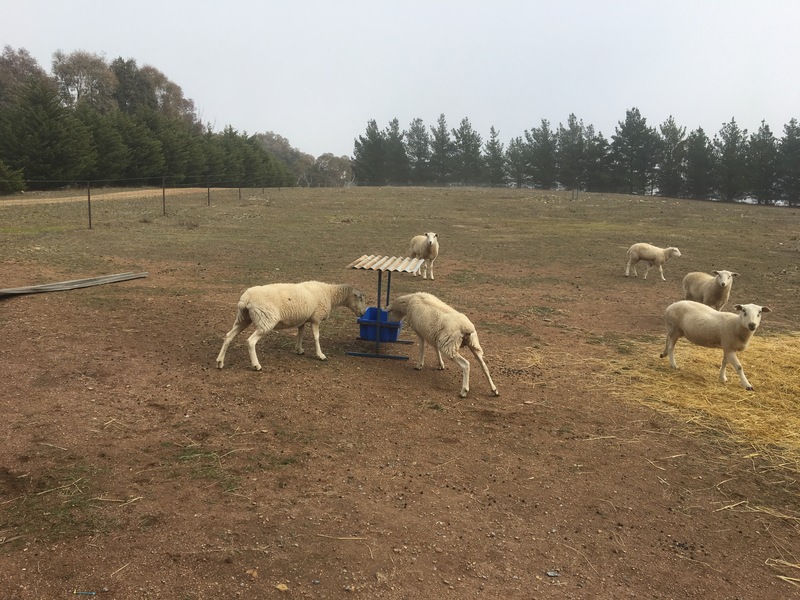 Cell grazing is another technique to reduce the worm burden in sheep or other livestock. 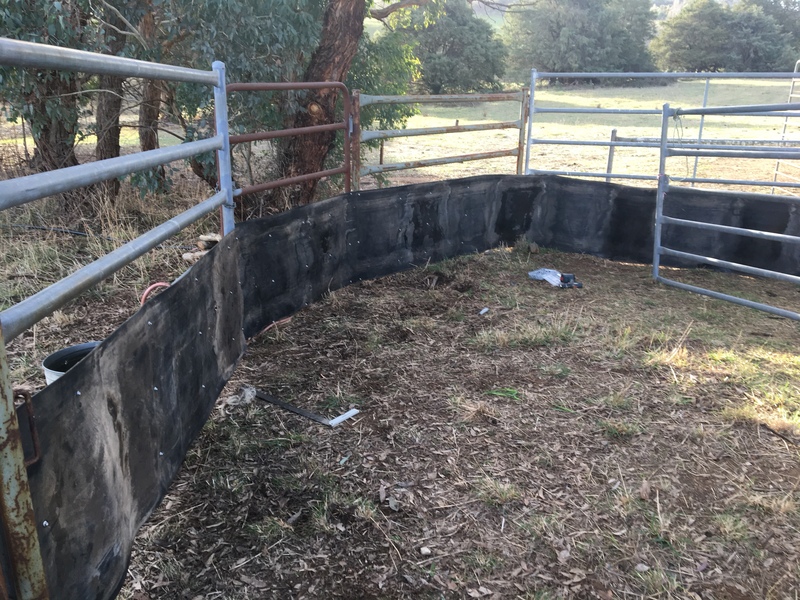 Whilst I would love to develop a cell grazing system on the Rock Farm, this requires a significant investment in fencing and is still a few years away at this stage. The final job was to put an ear tag in our lambs. These tags are marked with our unique Property Identification Code (PIC), and will stay on these lambs for life. 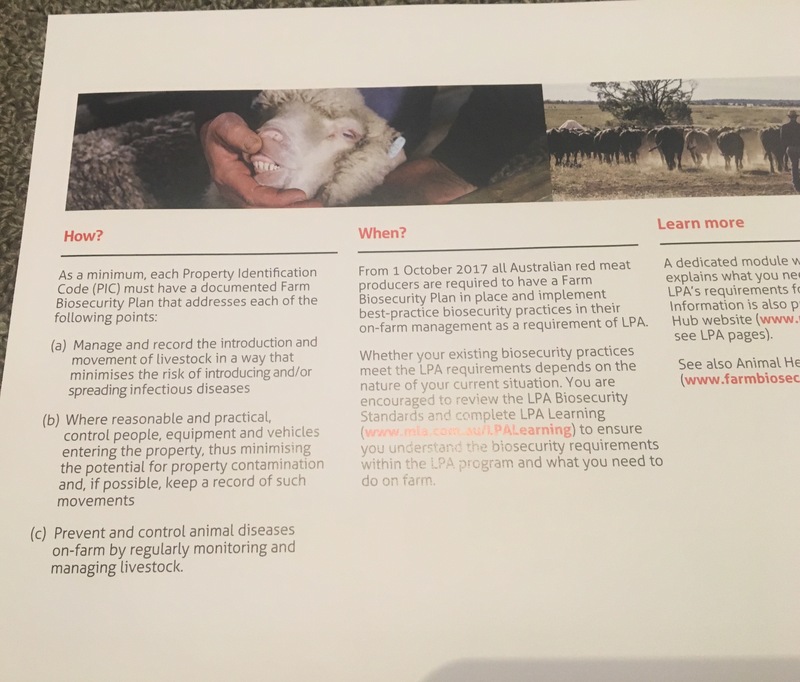 This, in combination with movement declarations, ensures a full audit trail for livestock movements in Australia. The ear tags are also colour coded, and 2017 lambs will wear a white ear tag, allowing easy identification and sorting of stock based on age. A couple of likely lads also decided to take a couple of tags. 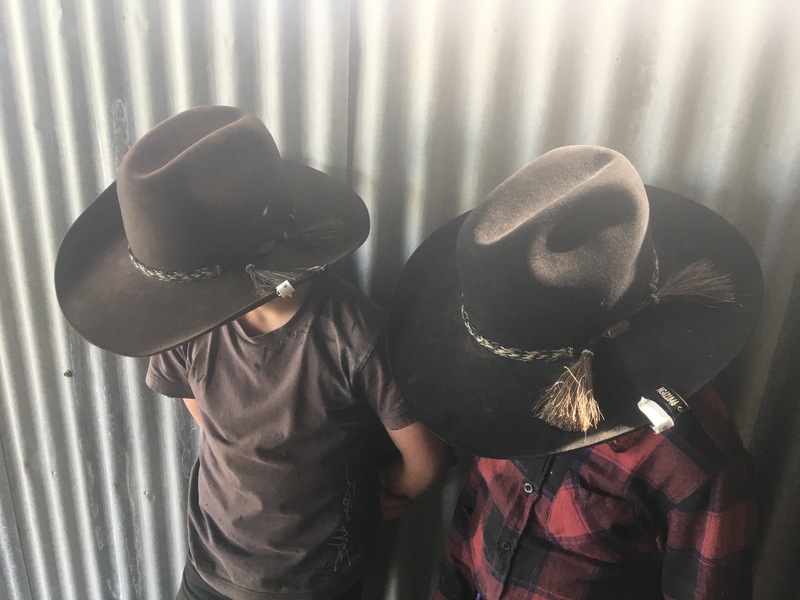 They politely declined my offer to put a tag in their ears, but did agree to marking their hats! 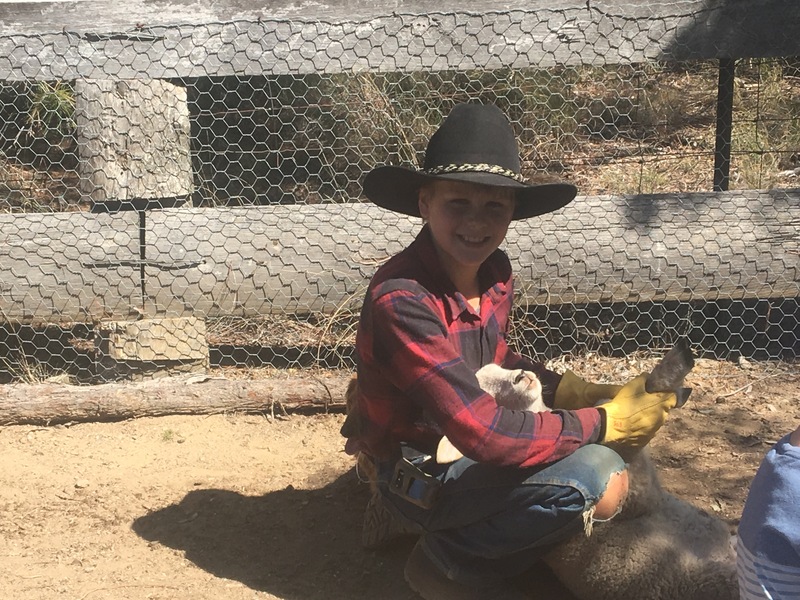 A couple of weeks ago I was jumping for joy with our first precious lamb of the season. 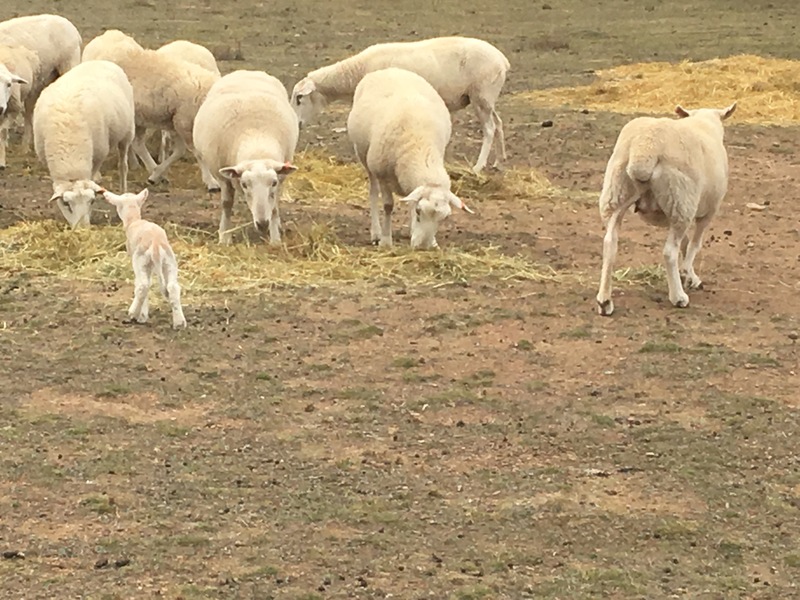 There is something uplifting about seeing a new lamb frolic, with a proud mother standing by. It is also a sign that perhaps the worst of winter is over and we are approaching spring. But lambing is also often associated with a bitter break in the weather, and this week has been no exception. With barely 10mm recorded in the gauge since Christmas, we are just coming out of two days of solid cold wet miserable rain. And right in the thick of it was born our fourth lamb. 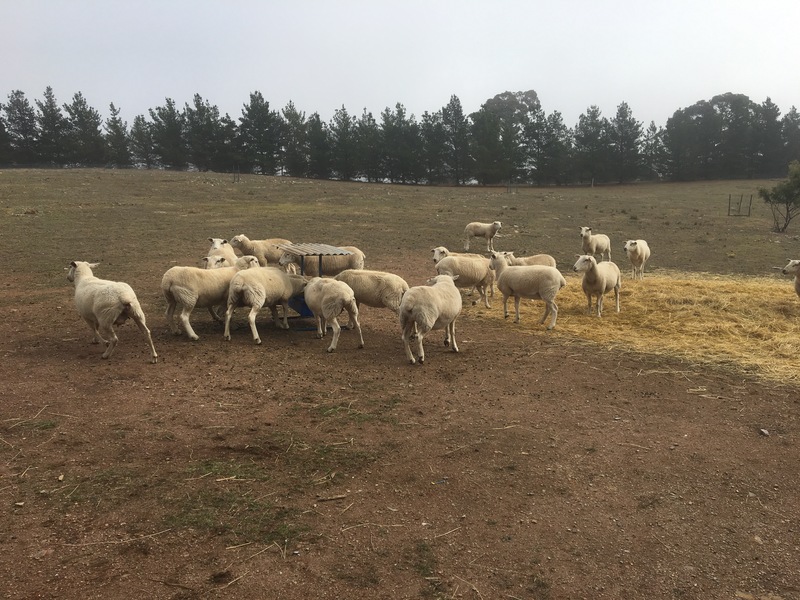 The ewes have plenty of shelter in their middle paddock, but as I am also supplementing their feeding with oaten hay, they tend to hang around the top paddock a bit. Whilst we have planted trees in this paddock, they barely provide a twig to shelter behind. There are solid windbreaks on two sides, but it is still exposed. 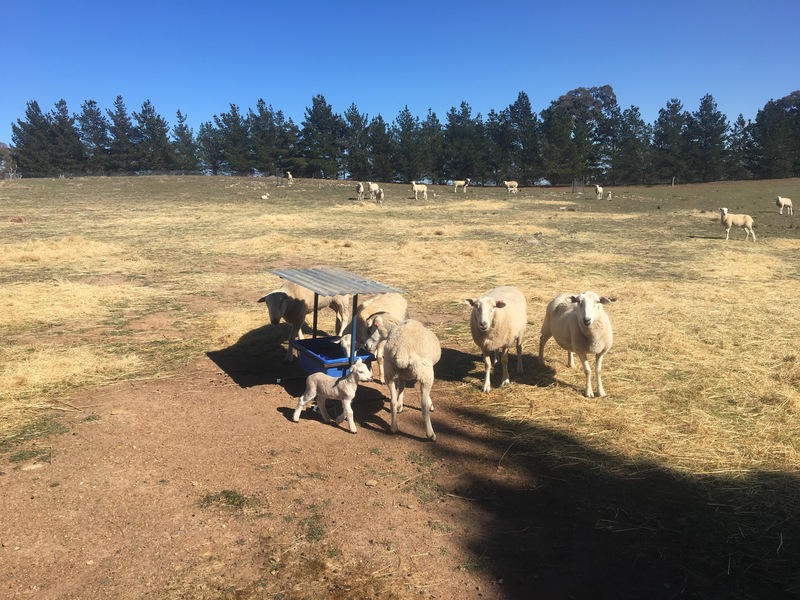 On chilly mornings, it is the first paddock to catch the sun, and being the highest part of the property, it is popular with the ewes escaping the chilly air that sinks to the lower parts. But when the sun doesn’t come out – and the rain is steady, it can be a miserable place to be. And sadly this is where I thought I found our fourth lamb… but as I approached her, she kicked, and I thought we might have a chance. Her only chance of survival was to bring her inside and warm her up. Unfortunately I had to go to work, so my highly talented multi-tasking wife Jo was called upon to work her magic. In no time at all the lamb was dry and warming inside the house, where chaos was reigning supreme. 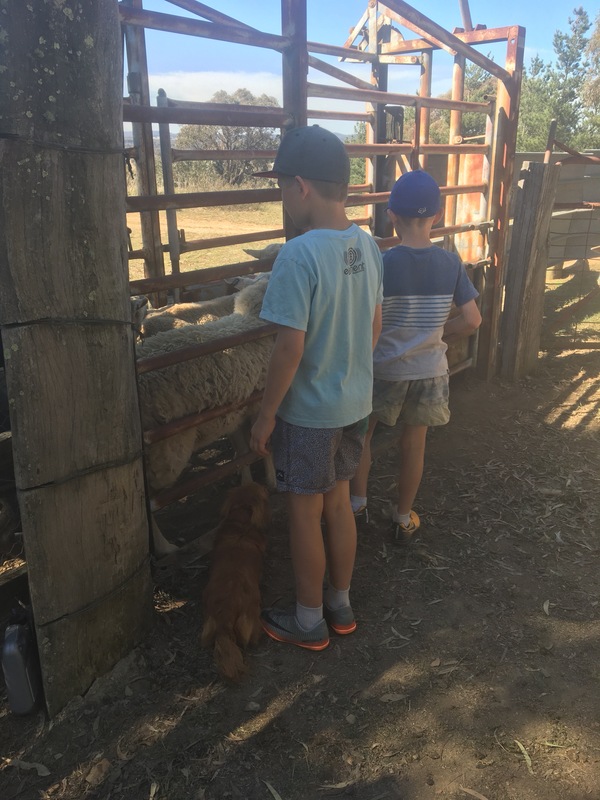 Extra kids, extra puppies and now and extra lamb were staying in our little house. Jo dug out the poddy lamb bottles and prepared to face a two hour feeding regime overnight. But at the first feeding it was apparent we had a battle on our hands. 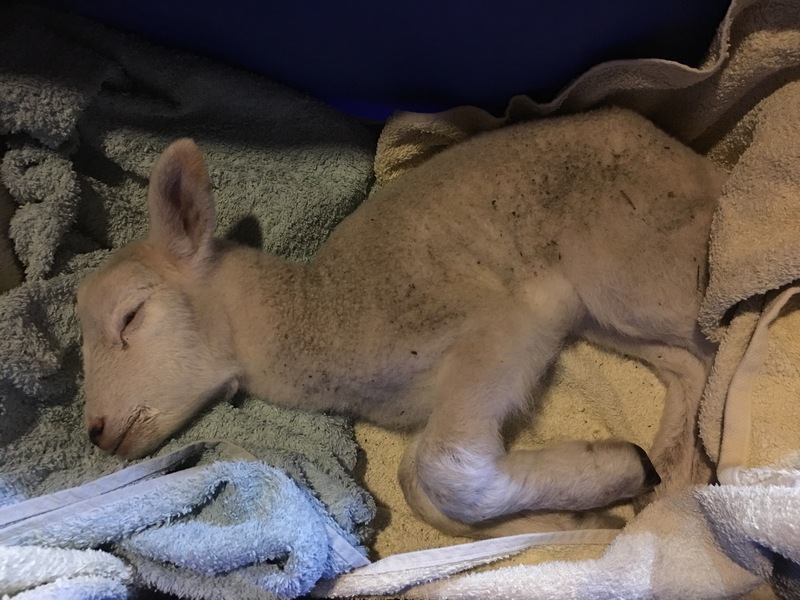 Sadly the lamb passed away not long after we brought her inside. It was a sad moment for all of us. 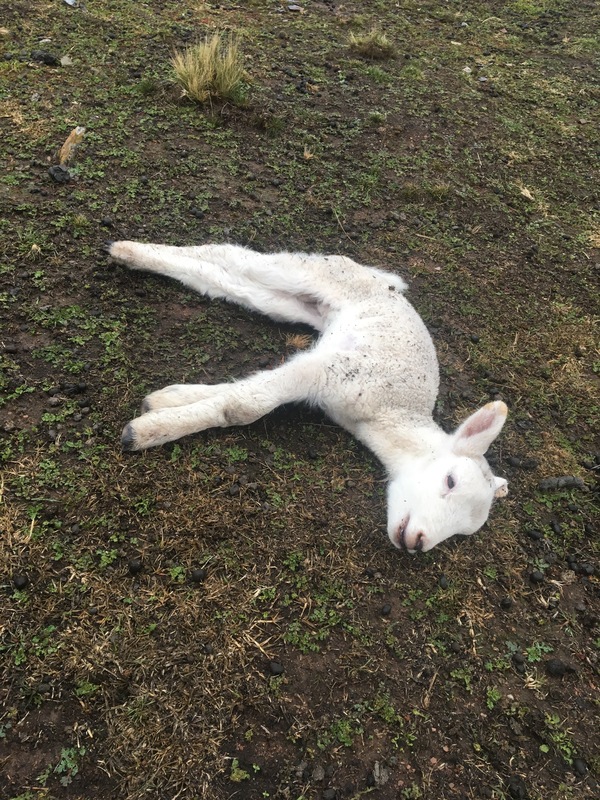 The poor little lamb barely had a chance, but this is the struggle many of them face when born during atrocious weather. 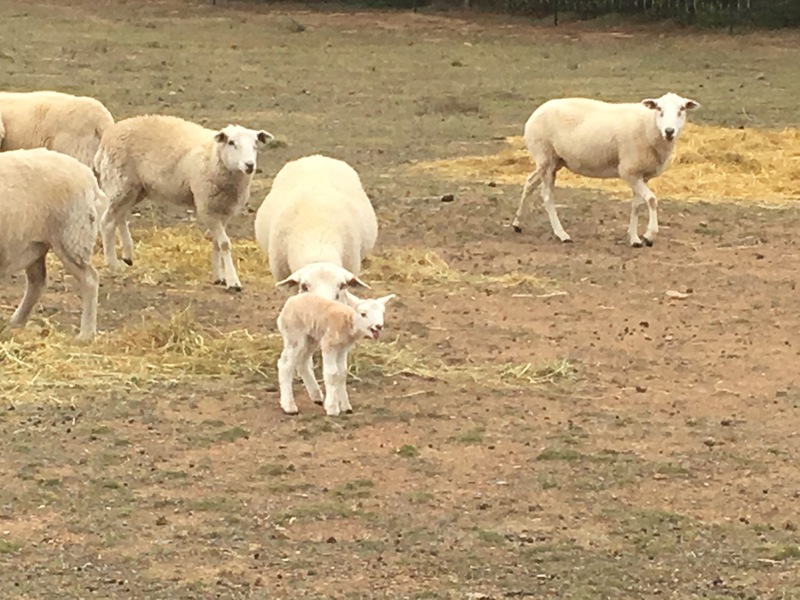 Thankfully the other lambs are all looking healthy and we will keep our fingers crossed they all grow to be tough and hardy sheep – who can perhaps delay their lambing by a month or so.